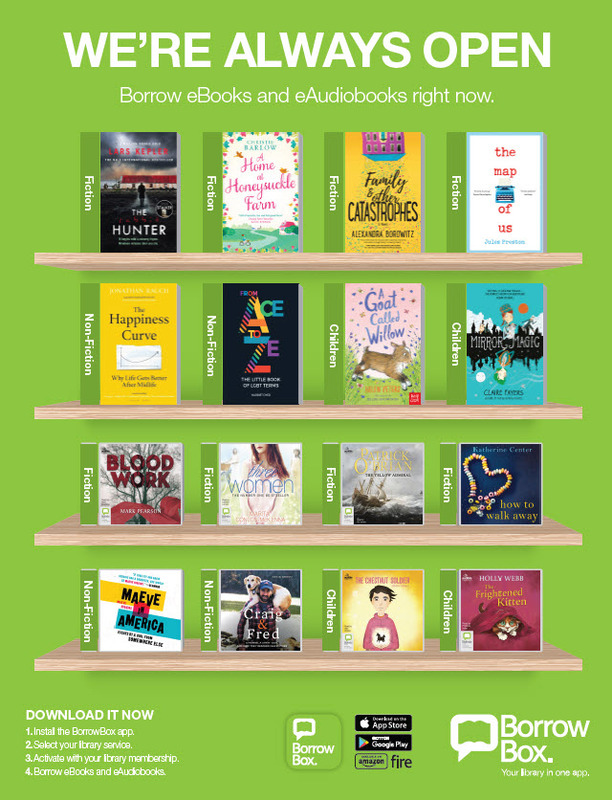 Enjoy the best collection of eBooks and eAudiobooks on mobile devices free from your library with BorrowBox. Search Our CatalogueFind books, music, movies and more! When was the last time you visited the Waterford City and County Libraries? Did you know that you can become a member for FREE?We have 12 libraries in Waterford and they have so much to offer! Waterford libraries are so much more than just books! They're a community within so many communities and a social entity.Check out their website and join up today! http://waterfordlibraries.ie/You will be just amazed at what's on offer!